Card protection, data protection, and mailing application samples for government and municipalities. Information Packaging has been manufacturing products for the government for over 30 years. Back in the day, government agencies had to depend on distributors to source custom packaging supplies. Working directly with the manufacturer provides government agencies the ability to save money and maintain accurate, timely communication to ensure all of their needs are met or exceeded on every level. Since Information Packaging has become GSA approved*, government agencies at all levels have the ability to source what they need directly from us, the manufacturer. A large variety of our in stock packaging products are available through the GSA Advantage online shopping portal. We also have the ability to customize products to your specifications and ensure that you receive excellent customer service from beginning to end. Our history of innovative thinking and top notch product development experience enables us to manufacture the best packaging options to fit your needs. Our Customer Service/Sales team strives to provide the best service and buying experience in the industry by keeping our customers engaged throughout the entire production process. 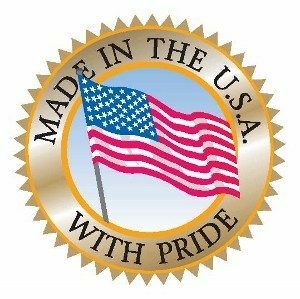 We take great pride in the fact that all of our products and materials are made in the USA. Our ArmorShield® RFID blocking sleeves are recommended for passports and government issued ID cards (Department of Defense and the Permanent Resident Green Card). Request a sample today ! *Information Packaging Corporation is certified to work with the GSA (U.S. General Services Administration).